Keep your paws off my ears! A breeder in Pennsylvania could face prison time and large fines if she’s convicted of the eight counts of felony animal cruelty she’s been charged with. This a year after earlier charges resulted in her being placed under “supervision.” The supervision was not sufficient to stop her from continuing her cruel practice — cropping the ears of puppies without any anesthesia or even antibiotics. I find ear cropping and tail docking reprehensible. I know all the devotees of breeds where this is standard practice are going to howl in protest. Go ahead. It’s a vile, cruel practice. But if you insist on doing it, the very minimum you must do is have a veterinarian perform the procedure on puppies who have been anesthetized and who will receive proper follow-up care, including antibiotics and analgesics. To force puppies to endure this barbaric procedure without pain meds is unspeakably cruel. What’s even more nauseating is the outcry among breeders and “dog fancy” folks in support of the breeder — including the American Kennel Club. Breed standards can change to eliminate requirements for cosmetic surgery. Allowing show dogs to retain their ears and tails does not interfere with their so-called genetic purity; it merely requires the humans who torture and profit from them to alter their ideas on what the dogs should look like. Many breeds’ appearance has changed drastically over the years due to selective breeding, and people have accepted and even embraced the changes. 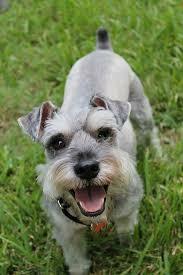 There’s no reason a show poodle can’t have a tail or a Schnauzer shouldn’t have ears. Whatever the historic justification for cropping and docking, it’s not relevant in the show ring or typical pet home. Owners and breeders of working dogs who may feel that the alterations serve a useful purpose can make that argument — and have a vet do the procedures. Nothing justifies the cruelty of unnecessary surgery on puppies who are “’crying and screaming’ without anesthesia while their ears were cut,” as described in a Washington Post article. I hope this woman spends the rest of her miserable, cruel life in prison where she cannot hurt any more puppies. I think in England, docking/cropping is illegal unless there is a medical reason for doing so. I remember on one episode of the Yorkshire Vet they were explaining it because they had a search dog come in that had to have his tail docked because he would wag his tail so hard when he was working that he would was constantly whacking it against things and injuring it. Other than that, I don’t see any reason to do it. I say if it becomes a problem, sure, have a veterinarian dock it, but if not, just leave it be. Oh Pam, this story breaks my heart 💔 What some people will do for the sake of appearance blows me away. If you choose to make a change to improve yourself, so be it. However, if it is a someone or something’s expense, Shane on them. Give her the choice of a long term prison sentence, or having her ears cropped without any meds to help. I wonder which she would choose?